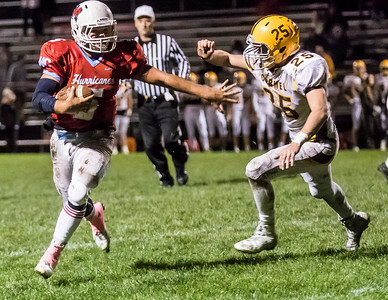 Sarah Nader - snader@shawmedia.com Marian Central's Gavin Scott (left) runs the ball during the third quarter of Friday's game against Carmel in Woodstock Oct. 7, 2016. Carmel won in overtime, 45-38. 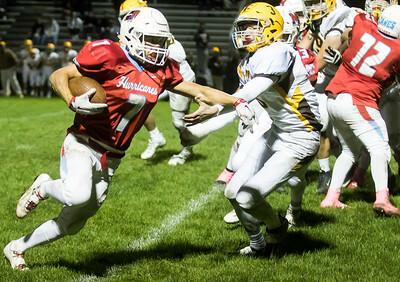 Sarah Nader - snader@shawmedia.com Marian Central's Brian Niemaszek runs the ball during the second quarter of Friday's game against Carmel in Woodstock Oct. 7, 2016. Carmel won in overtime, 45-38. Sarah Nader - snader@shawmedia.com Marian Central's A.J. 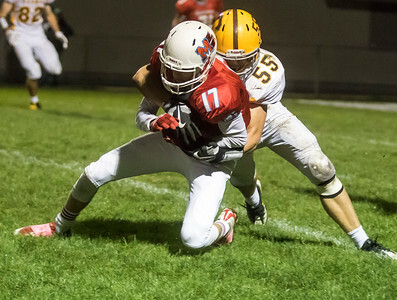 Golembiewski (left) is tackled by Carmel's Jake Cerwin during the second quarter of Friday's game in Woodstock Oct. 7, 2016. Carmel won in overtime, 45-38. 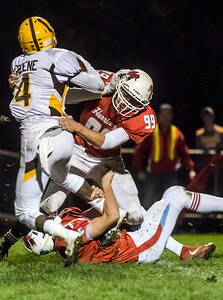 Sarah Nader - snader@shawmedia.com Carmel's Shaneal Greene is taken down by Marian Central's Ben Keller during the third quarter of Friday's game in Woodstock Oct. 7, 2016. Carmel won in overtime, 45-38. 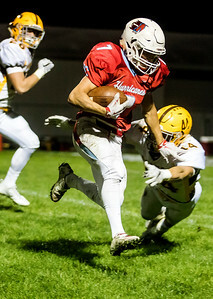 Sarah Nader - snader@shawmedia.com Marian Central's Brian Niemaszek runs the ball during the third quarter of Friday's game against Carmel in Woodstock Oct. 7, 2016. Carmel won in overtime, 45-38. 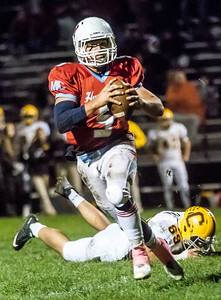 Sarah Nader - snader@shawmedia.com Marian Central's Gavin Scott throws a pass during the third quarter of Friday's game against Carmel in Woodstock Oct. 7, 2016. Carmel won in overtime, 45-38. 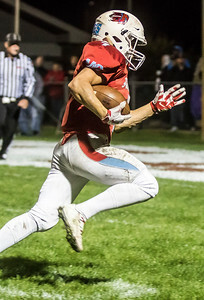 Sarah Nader - snader@shawmedia.com Marian Central's Brian Niemaszek scores a touchdown during the second quarter during the second quarter of Friday's game against Carmel in Woodstock Oct. 7, 2016. Carmel won in overtime, 45-38. Carmel's Shaneal Greene is taken down by Marian Central's Ben Keller during the third quarter of Friday's game in Woodstock Oct. 7, 2016. Carmel won in overtime, 45-38.